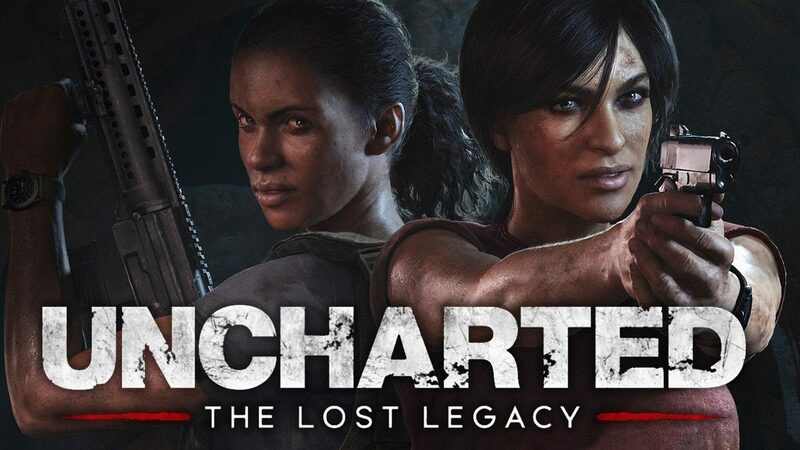 Uncharted: The Lost Legacy is the latest adventure in the Uncharted world, but it shelves seasoned hero Nathan Drake in favor of the beautiful and shifty treasure huntress Chloe Frazer, accompanied by Uncharted 4: A Thief’s End‘s antagonist Nadine Ross. DualShockers had a nice chat with Creative Director Shaun Escayg, whose sizable career includes Hollywood animation work like Transformers: Dark of the Moon, as well as the beloved The Last of Us (You should definitely watch his own short “Fish“ from a few years ago). We asked about the task of bringing back a fan-favorite character like Chloe, exploration and discovery, the ins and outs of developing this kind of adventure and more. Giuseppe Nelva: During today’s presentation you said that Chloe will be the star of the game. Is this something that you decided from the start, or maybe the team had to choose between her and Nadine during development? Shaun Escayg: Was there any doubt about Chloe being the lead? I would say there was. When you write, you kind of find a journey to the destination. When we pitched it, we did as Chloe’s story, but it still felt very Nadine-centric. A lot of that had to do with the fact that we didn’t really know Chloe and we hadn’t really found her story as of yet. Through the course of development it became quite clear that this was Chloe’s story, and it was quite clear that Nadine would help bring that story out. 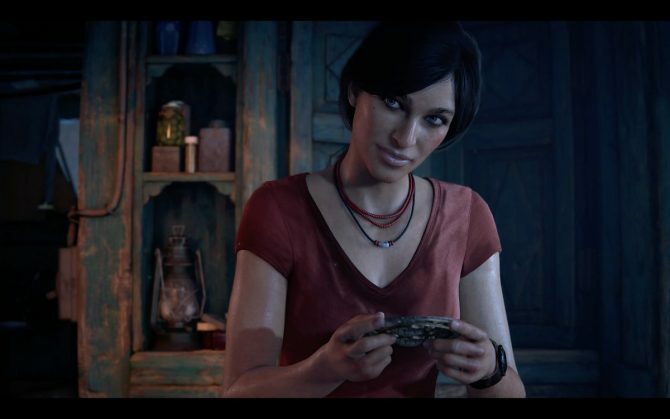 Part of Naughty Dog’s storytelling is relationships, how they affect each other, how they get in conflict, how they bond, is what brings out the best and worst of these characters. We get to see a lot more insight into them. GN: Yes, she’s been tweaked a little bit, but of course Chloe’s old models were a bit too outdated to be used as is. How did you go about redesigning her? SE: We always reference our models from before, but if you have seen the previous Uncharted games, Chloe changes every time. She was a little different every time we saw her. We wanted to update all of our characters since the technology grew since the last Uncharted, and Chloe was such a fan-favorite, such a special character that we wanted to make sure that we spent the right amount of time bringing her to the level of what you’d expect from an Uncharted game. We have a really talented modeler – Colin Thomas – who is one of our best character artists, and we set him on this project. He spent tireless months and nights trying to capture her. Sometimes we made her too different from her old self and we had to go back and find elements so that she would stay familiar, but still be updated. This process took at least three-four months of sleepless nights, trying to bring Chloe Frazer to life. GN: … Until you finally had that eureka moment? SE: Yes, as soon as we nailed it, we said: “yes, this is Chloe!” and that was it. GN: Chloe will have “photo ops” with her smartphone. Is it scripted, or more freeform, governed by complex algorithms like Prompto’s pictures in Final Fantasy XV? Maybe that inspired you? SE: Not particularly. Within the gaming industry community, we’re always looking at what other games are doing, but I can’t say Final Fantasy per se. We wanted it from a narrative perspective. We wanted to show that this is how Chloe journals. She takes these photos to remember these spaces because they have such personal meanings to her. So it was more from a narrative standpoint to support the idea that maybe a place is special to her, or is connected to her dad. When she has moment of achievement, she takes a picture or no one is going to believe her. GN: Are those photos scripted or do they have a level of customization that the player can influence? SE: There are two modes. There is photo ops and photo mode. Within the photo mode you can take your own pictures. With the photo ops you choose to take them, but we have a set photo that best captures the moment. 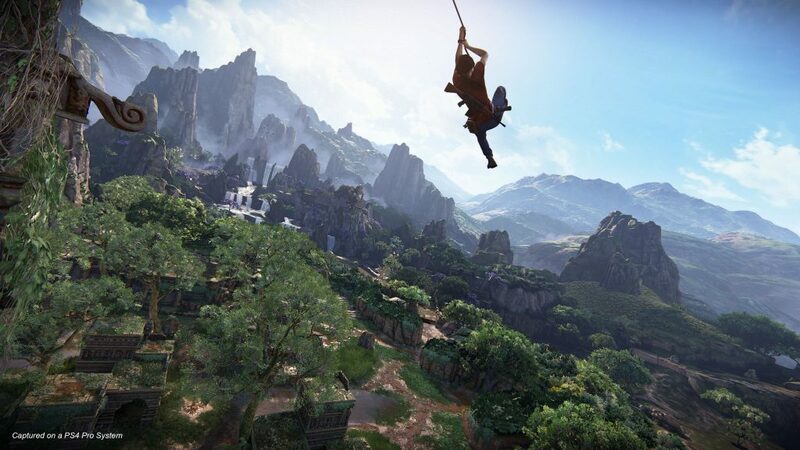 GN: The Western Ghats look extremely big, and Madagascar was big as well in Uncharted 4: do you have any actual figure on how the two areas compare in terms of size? SE: I don’t have a figure, because it’s not measured like that, but it’s significantly bigger than Madagascar. GN: The game is finally finished. You have recently gone gold. What is the team going to do now? Are you folding into the team working on The Last of Us 2? Or maybe members are going to work on different new projects? SE: Right now? They’re going on vacation (laughs). We literally just went gold. I left the studio days before it went gold to start the press tour, so no one has even had an opportunity to think about what’s next. I’ll be going on vacation, and I hope my team goes as well. I’m sure once we get back we’ll start to assess what we’ll do next. Who knows? 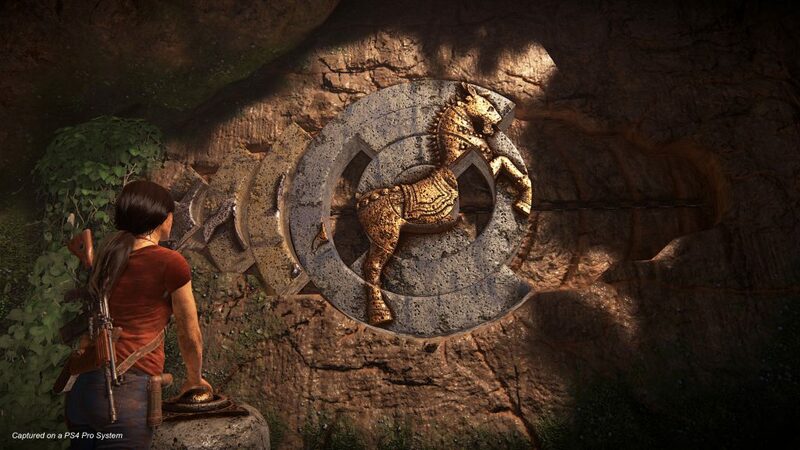 GN: I noticed that the cinematics in The Lost Legacy seem to be a little different in style than those in Uncharted 4. You used to work on cinematics yourself in the past, so can you explain what changed? SE: So, I did the cinematics in The Last of Us, and that game had a more Cinéma vérité feel. 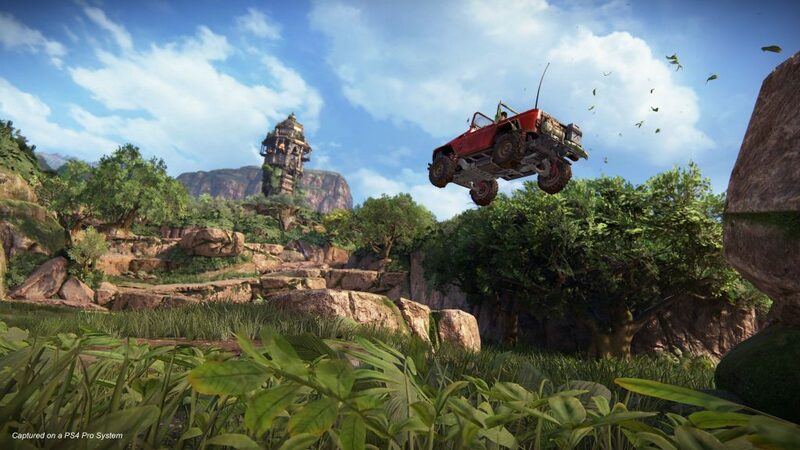 Uncharted 4 was more, if you will, Spielberg-like: cranes and dollies… This style, I think is in between. The reason I choose that style is for Chloe herself. We use cinematography to tell moods, versus just saying “it’s a style.” If you’re in a combat section you would have a much more Cinéma vérité feel, it would feel more intense, the camera would be jerkier. If you’re on vistas, or driving around the Western Ghats area, you would have a broader camera, further away, more traditional-like. So it really depends on your situation. If you’ve seen the PlayStation Experience demo with the war-torn streets, that are a very hostile, the camera is closer, it’s way more intense. It’s all to support where you are at any given moment. 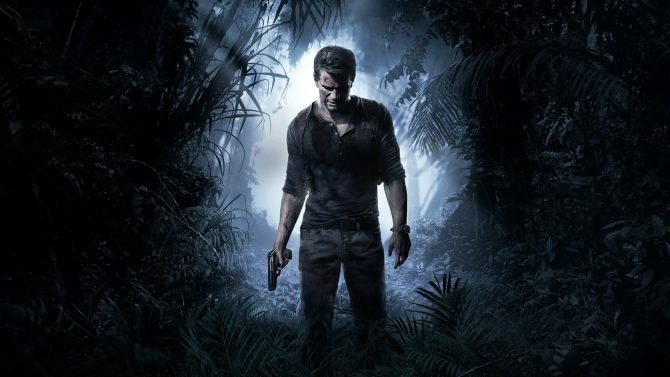 GN: Having played the demo, the level of difficulty seemed to be just a bit higher on normal than it was in Uncharted 4. It was quite a bit harder to just go in and shoot everyone up, pushing me towards a stealth approach. Is this an intentional setting, or it’s just me? SE: It’s not intentional. I heard that before, so it’s interesting to hear these comments. In this particular part of the game, because it’s open and you can choose where you go, there are more difficult setups and more options that you can take. You can go in Rambo-style and maybe fail and have a difficult time, but you can also choose to stealth and avoid. I think it depends on the player, but it’s not designed to be specifically more difficult. It’s just designed to give you more options. For instance, you can lockpick a crate, find a weapon that alters your gameplay, and that’s another available option. GN: Compared to the Madagascar area, the Western Ghats seems not only bigger, but also more open. There was a lot of room for roaming and exploration. How important is exploration in this new game, even outside of this area? Is this the only open exploration area in the game? It was a big deal for me to bring that back to the franchise, since I feel that the earlier games of the series did that really successfully. Also with the puzzles, we have integrated those to open new access points and create different spaces for you to find new stuff. Discovery and exploration are a huge part of this game. 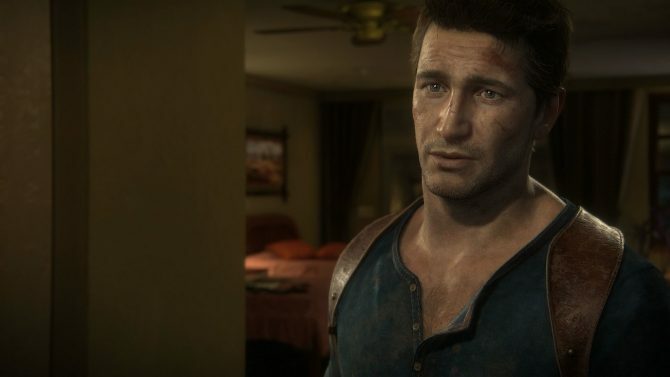 GN: This might be the last Uncharted from Naughty Dog. Did you intentionally create something that can give the player a sense of closure, or you opted to convey the idea that this world isn’t finished yet? SE: We don’t actually set out to do those things. We’re not as deliberate as that. We set out to tell the best story. 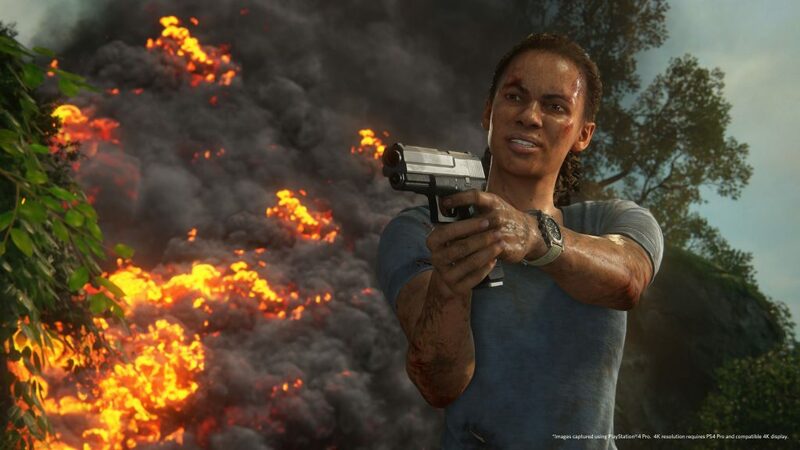 When we decided on the story with Chloe and Nadine it was more about seeing these characters from a different perspective, and feeling the Uncharted world from a different perspective. It’s a more gritty, underworld-like perspective. This world is huge, the stories are vast, the cast is vast, and there could be many stories told in this world. As far as Naughty Dog is concerned, this is Chloe and Nadine’s story and that’s it. We have no future plans past that, or at least I don’t know of any. We’ve been so focused on The Lost Legacy. GN: It could be so successful that people might want a 2 and 3. SE: It’s really up to the fans. It’s not really up to us (laughs). GN: Chloe has been a fan-favorite character for a long time. Did you feel maybe a little bit of pressure in bringing her back? Did you aim more to do justice to how she was in the previous games, or you tried to evolve her and bring out aspects of her character that weren’t visible before? SE: You give us too much credit. We’re really not that deliberate. We had many stories on the table: we had Sully, Sully and Chloe, Sully and Sam, Cutter and Chloe… We just kept moving around the pieces. We knew we wanted to do Chloe once we nailed her. We were going through the different characters and then Chloe’s story, and everyone was “Chloe! Chloe! Chloe!” Even inside the studio she is a huge fan-favorite, like outside of the studio. GN: So we’ll finally get to know Chloe for real this time. SE: Oh you will know Chloe, absolutely. GN: So I imagine that basically the only character who was not on the table was Nathan, right? 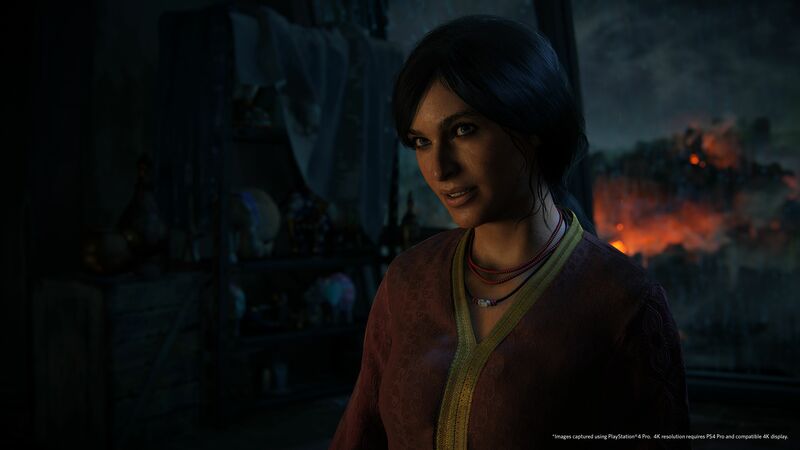 If you want to read more about Uncharted: The Lost Legacy, don’t miss our hands-on preview. If you’re more the visual type, you can check out the Western Ghats in screenshots and gameplay footage. 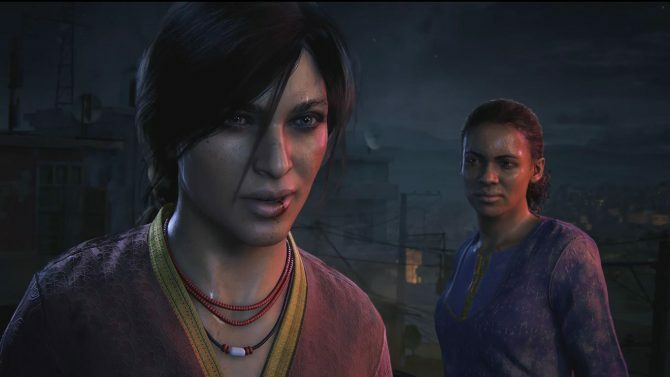 Uncharted: The Lost Legacy has gone gold last week, and is ready for release on August 22nd, exclusively for PS4.